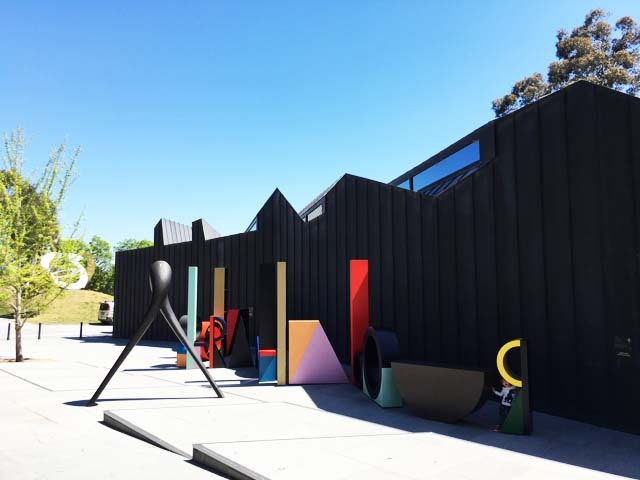 The Heide Museum of Modern Art has always been a great place for us to visit as a family since little Miss was born. 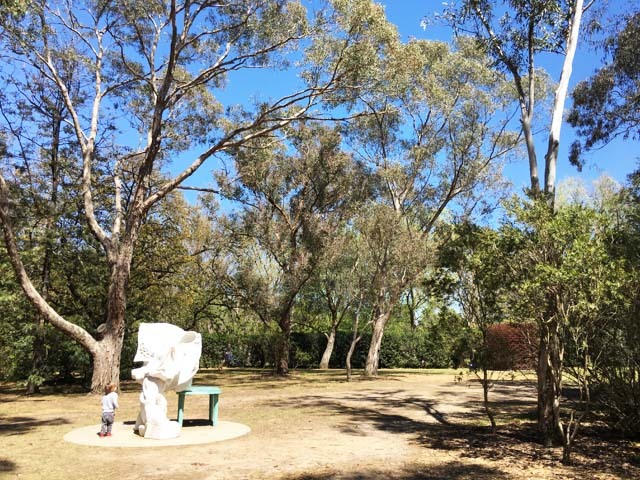 Whether you’re a fan of modern art or not, you’ll still enjoy walking the grounds, checking out the sculptures and gardens, taking part in school holiday activities, weekly children’s programs or enjoy catching up with friends for picnic or grabbing a coffee at Café Heide. We popped into Heide last October and enjoyed everything the museum and grounds had to offer. 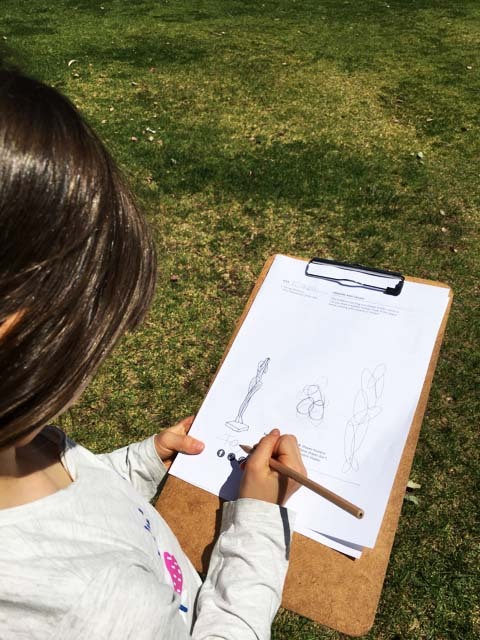 We kept the kids busy with the free Sculpture Park Detective Trail which lets them explore Heide's sculpture park with fun Sculpture Park activities all while walking the grounds. The form, pin board and pen can be picked up at reception desk. There’s also a Sculpture Sounds Activity for the kids too and exhibition tailored activity trails too. Grab some snacks and a picnic and relax on the lawns and enjoy the space with friends and family. There are many sculptures around the ground but our favourite sculptures would have to be the cows. Kids love the cows so much, they are great fun to hide behind and for a pic too. 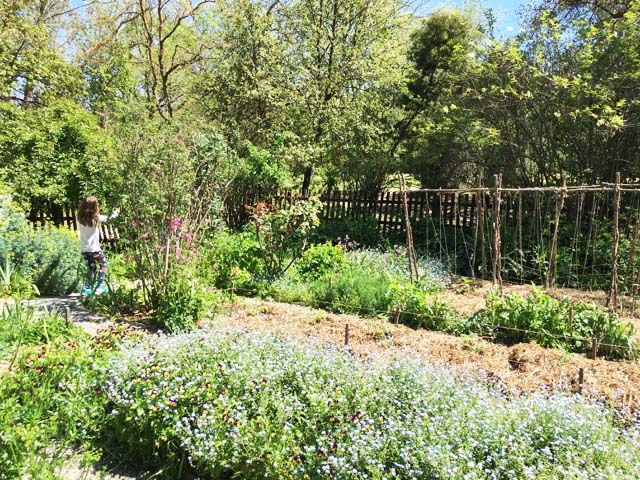 The beautiful vegetable garden which was once used by couple John and Sunday Reed isn’t used as a kitchen garden anymore but is still interesting to walk around to see what’s grown seasonally. There you have it, a great way to get the kids busy out of the house while enjoying some art. 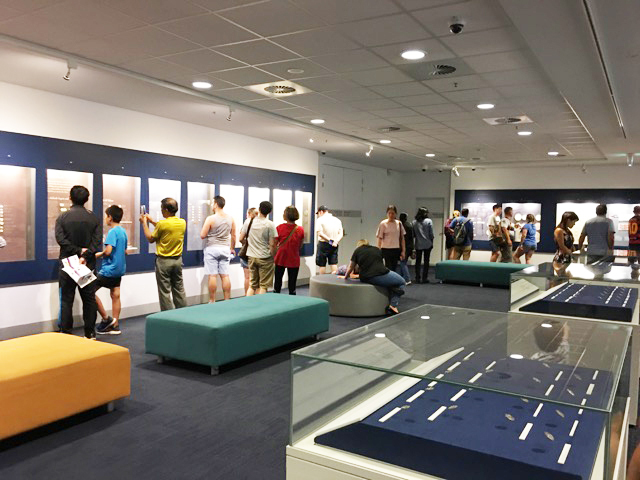 There are great exhibitions inside the museum to explore too, so checkout the Heide website for the latest exhibitions info. Heide Museum and grounds are open Tuesday to Sunday 10am-5pm. Closed Mondays except for public holidays. Heide is located at 7 Templestowe Rd in Bulleen. Bring snacks and a picnic to enjoy the grounds with family and friends or enjoy a coffee and a meal at Café Heide. Book the popular Kids Programs in advance as they sell out fast and checkout current exhibitions if they tickle your fancy. Guided Tours and a Museum App are also available to help you enjoy the museum to the maximum. There are toilets located next to Café Heide with a change table from memory. Parking is free at the top and bottom of Heide. 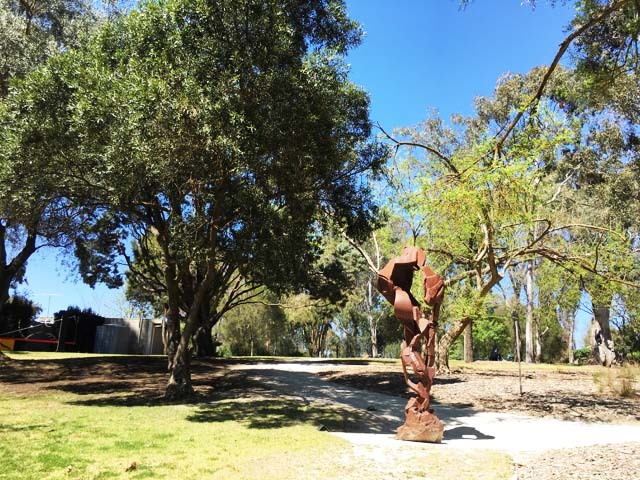 For more information on Heide Museum of Modern Art, checkout their website. Visiting an architectural designed house in Wahroonga might not be the first thing you have in mind to do with kids on the weekend but if you enjoy art, design and 1950s furniture and showing the kids around a well designed house, you will be in for a treat with the Rose Seidler’s House. Designed by Harry Seidler for his parents Rose and Max and completed in 1950, this house was the most talked about house in Sydney at the time and you can see why. Harry graduated from Harvard in 1946, an enthusiastic and committed modernist. That same year his parents and brother migrated to Australia, he however remained in New York, until his mother enticed him to Australia with the offer of designing and building her a house. He arrived in Sydney in 1948, intending to remain only until his parents’ house was completed, but the architectural success that followed persuaded him to stay. All rooms in the house except for the main bedroom, have panoramic views of the Ku-ring-gai Chase National Park. The floor plan flows really well as the house is divided into two distinct zones, the living and sleeping areas linked by a transitional zone of a central playroom, stairs and sundeck that can be used to extend either public or private areas, depending on the occasion. The designed kitchen might look dated however it was pure luxury in the 1950s. The house was donated by Harry Seidler in 1988 to Historic Houses Trust and was reinstated with 1950s original colour scheme and stays in great condition today. We just love the original 1950s furniture and the simple yet tasteful design and furnishings. Seidler had a great eye for design and making sure that the property had the right features, furniture, spacious aspect and sufficient storage while keeping his simplistic approach in design. The house has a series of flexible dividers instead of walls to allow spaces to be reconfigured into different areas. The modern sliding doors that slide right back into the window’s cavity is a genius yet modern idea that is common in today’s houses but was not back in the 1950s. Trying to find a builder to build this intricate house post second world war and finding the required material was no feet for Harry but he managed to do so after some difficult years. For more information on the Rose Seidler House, head to the Sydney Living Museums' website. How Cities Work is the latest exhibition which opened this week at the Museum of Sydney, right on time for the Summer holidays! Based on the How Cities Work book by James Gulliver Hancock, this exhibition is perfect for Busy City Kids! 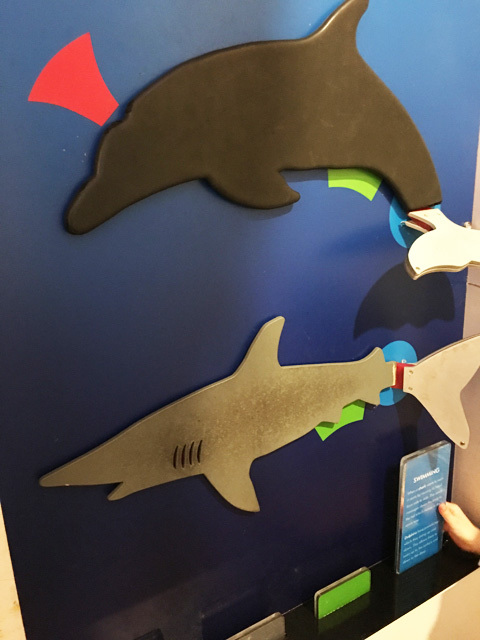 Kids will love this fun and interactive exhibition. Visitors are invited to wear a hard hat and protective gear as they arrive and throughout the exhibition to get into the construction mood and create their own city. As soon as you walk in, you are surrounded by our busy cities, the modes of transports, the buildings, the landmarks and the people who live there. Kids can press a button at the three separate cities pods and see moving traffic and a train go by. A cute area with a City Zoo, city & transport building blocks, a stadium and museum art gallery invites visitors to mix n’ match Zoo animals and find a spot for them in the City Zoo, discover, play along and read James Gulliver Hancock’s books How Cities Work and How Airports Work. Little Mister who is 3 years old loved this area. Kids are then invited to find all the different things in a busy street of the Busy City area by interacting with the projection on-screen. A very popular area was the colouring area where kids are invited to colour in James Gulliver Hancock’s awesome skyscrapers. Once their work of art is complete, they can display it around the table. This was little Miss’ favourite area of the exhibition. The underground area and the green area are nice to interactive with too. Don’t forget to enter the cool giveaway near the exit. Our kids loved the Building Zone near the entrance, we managed to build a few skyscrapers which little Miss decided to hide in - ha! 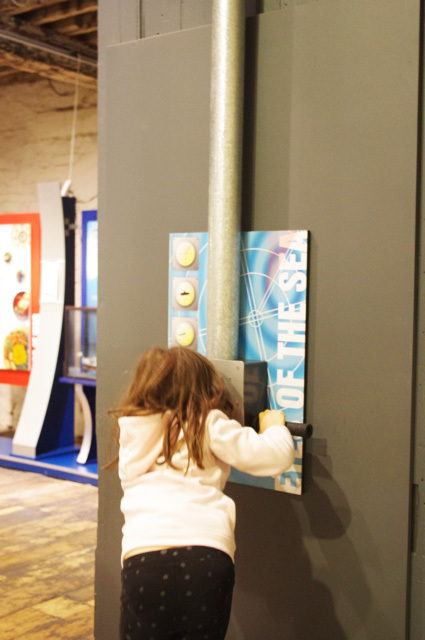 We really loved the fun and interactive How Cities Work exhibition at the Museum of Sydney. It will keep the kids busy these holidays! 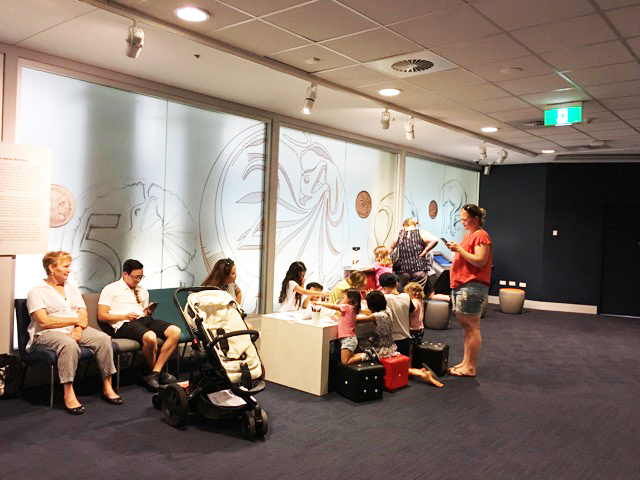 Don’t forget to checkout the Lonely Planet Kids videos on level 1 while you’re there for some fun videos & facts as well as the Street Photography exhibition on the same level as the exhibition and wonder around the rest of this great museum. A great morning in sight! The Museum of Sydney is open daily 10 am to 5pm and located corner of Phillip and Bridge Streets in Sydney CBD. Entry to the How Cities Work exhibition is free with General Admission. Adult $15, Child/Concession $12, Kids 0-5 years Free, Family (2 adults 2 Kids or 1 adult 3 kids) $38. Sydney Living Museums Members and Sydney Museums Pass holders go Free. 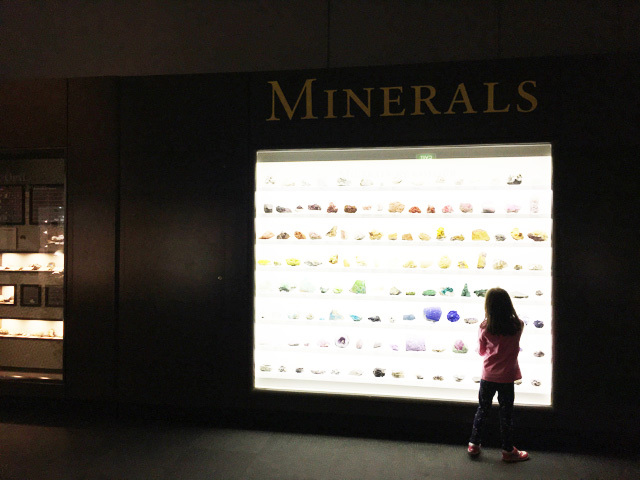 Visit the rest of the Museum of Sydney while you’re there to make the most of it. How Cities Work is on now until 21 July 2019. Toilets & changing facilities as well as pram parking is located on Ground Level. Lifts are available too. For more information about the How Cities Work exhibition at the Museum of Sydney, head to this website. Busy City Kids attended the free public opening event of How Cities Work for the purposes of a review. All opinions & feedback are genuine & truthful. Food and travel were self funded. Discover your STAR WARS™ identity this summer at the Powerhouse Museum, with the NEW STAR WARS™ exhibition - STAR WARS™ Identities. Are your little ones like Yoda or Darth Vader? Fans of the galactic series will be given the opportunity to discover the forces that shape them and the Star Wars character they most identify with in STAR WARS™ Identities. This interactive adventure into the STAR WARS™ galaxy opens on Friday 16th of November at the Powerhouse Museum and will have you and the kids choose which side you are on and which character you would be. STAR WARS™ Identities is designed for visitors of all ages and uses technology and expertise in the fields of neuropsychology, psychology, and biochemistry, interwoven with a collection of over 200 original artefacts, costumes, and props from the Lucasfilm archives, to lead Star Wars fans on a personal Identity Quest. Visitors will be invited to explore their own identity and learn about the forces that shape them as they move through a series of interactive stations. 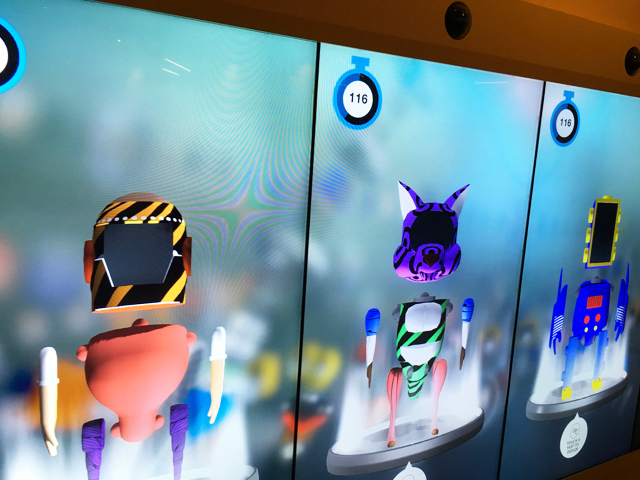 Each station will provide insights that help museum guests define a unique STAR WARS™ character that they create and meet at the end of the exhibition. Will your choices lead you on a path to the dark side of the Force? Are you a Wookiee Jedi Knight? Or maybe an Ewok with fighter-pilot skills? The STAR WARS™ Identities exhibition is on at the Powerhouse Museum from Friday 16th of November 2018 to Monday 10th of June 2019. Tickets are $36 adult, $32 concession, $23 child and $95 family (2 adults 2 kids). All tickets include general admission to the rest of the museum, where you can enjoy the Wiggles Exhibition (see our review here) and so much more around the museum. 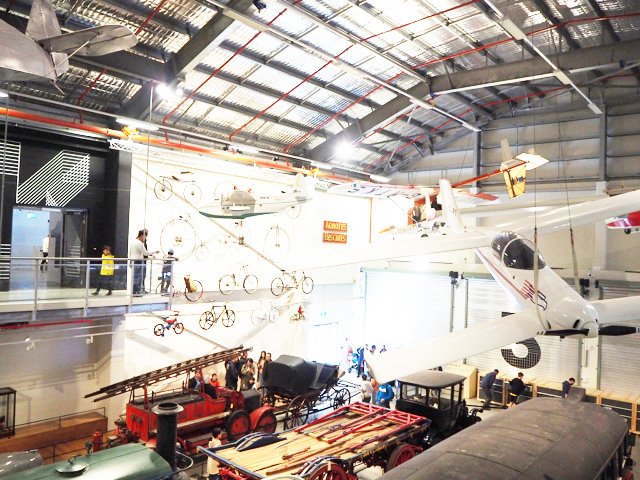 Enter the world of flying with the Above and Beyond exhibition currently at Scienceworks. It will take you on a journey into the sky and beyond! 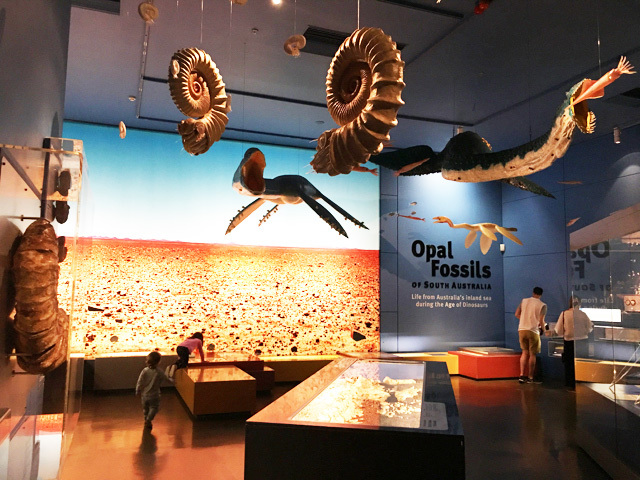 We sent Melbourne Mum Renata and her daughter to experience the exhibition during the last school holidays and they loved it and they reckon young space fans will love it too. Great for kids 5 years and over or little ones can enjoy the exhibition with their siblings. Renata and her daughter Anastasia particularly enjoyed the Visit Mars and the Spread your Wings activities. To follow Renata and her daughter’s experiences on Instagram, head to @renatakatarzyna. This aerospace exhibition features immersive flight simulations, design challenges, visionary concepts for the future and inspiring stories from game changing innovators. Visitors can design and fly their own aeroplane, pilot a drone into the eye of a hurricane, and ride an elevator to the edge of space. Above and Beyond is presented by Boeing and produced in collaboration with NASA and the Smithsonian's National Air and Space Museum. Children and young adults will be inspired to imagine the future of aerospace technology. Kids will have lots of fun with the different exhibits on offer including the biometrics screen where they can experiment. Anastasia loved spreading her wings and flying in formation with birds in the Spread your Wings exhibit. She was very intrigued by the International Space Elevator. People have long dreamed of building a tower to space and this has evolved into concepts for a space elevator. Visitors can also have a look at the NASA exhibits showcasing missions and the shuttles used. Kids can take control of their space jet and fly through the skies. They can also blast Space Junk debris stuck in orbit - boom! And understand what debris gets stuck in space. Visitors can also learn about different flight modes like hot air balloons, rockets, gliders and more. And be exposed to more complex exhibits like flight simulation. Busy City Kids were invited to Above & Beyond for the purposes of a review. All opinions & feedback are genuine & truthful. Travel and food were self funded. For more information on Above & Beyond at Scienceworks, head to their website. 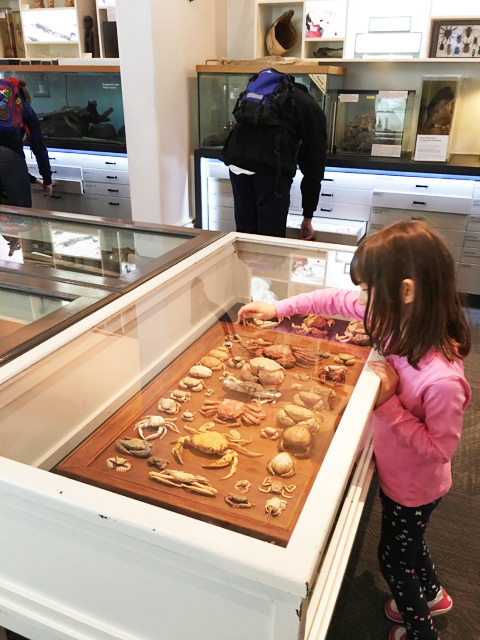 We recently took advantage of Free Museum Weekend and visited the Museums Discovery Centre in Caste Hill for the first time a few weekends ago, for free! 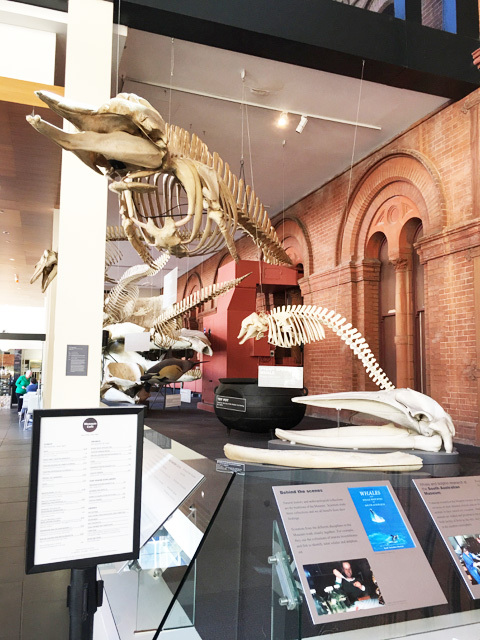 Inside the Museums Discovery Centre, visitors can expect to find millions of treasures, with hundreds on display, and thousands more waiting to be discovered through booked tours of the deep collection stores. We loved looking at the different cars, bikes, scooters, buses, planes, boats on display as well as miniature trains, cars, planes etc. 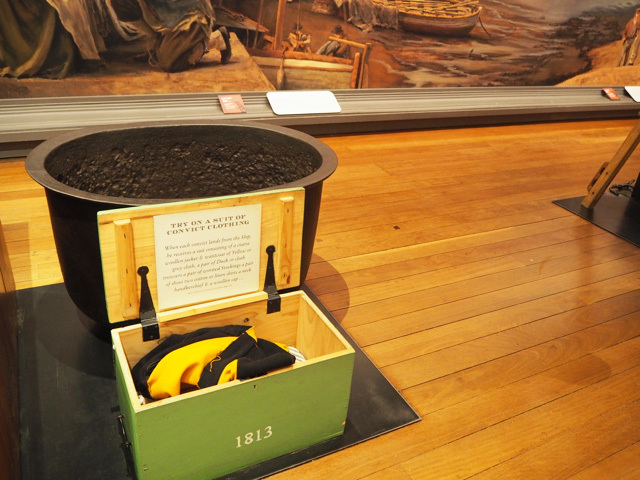 The kids loved the discovery boxes where hundreds of treasures were there ready to be discovered. There were also experts on the day transmitting message in morse code and writing them up on an old type writer for kids to enjoy. After we checked out the many treasures, we headed to a different store of the Discovery Centre where we found collections of furnitures, clothes, costumes and antiques not accessible to the public. 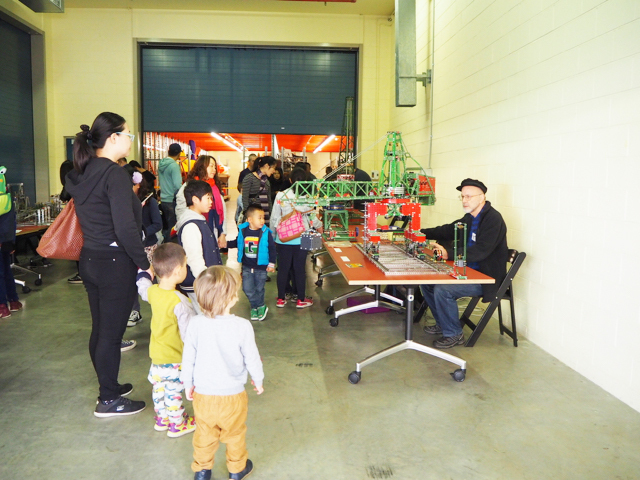 Meccano experts were showcasing their models for the open day. We love Meccano so we were quite happy to see the models! Inside the store of various things, we found costumes and official uniforms for the Sydney Olympic Games' opening ceremony. There is also another store filled with old cars which little car enthusiasts will love. It has access restrictions but some special tours are available to organise access. We really enjoyed visiting the Museums Discovery Centre! The centre has an immense variety of treasures on display. There was so much to take in on the day that it truly deserves another visit! The Museums Discovery Centre is located at 172 Showground Road in Caste Hill. Parking on the day was available at the nearby TAFE off Green Road. I recommend using that entrance. The Centre is open Mon to Fri from 10am to 5pm with last entry at 4pm. Closed public holidays. Admission is $10 per adult, Free for kids 16 and under and $8 for seniors and students. Free for members. The Museum is pram friendly with lifts available. The museum has a disabled toilets with fitted change table. 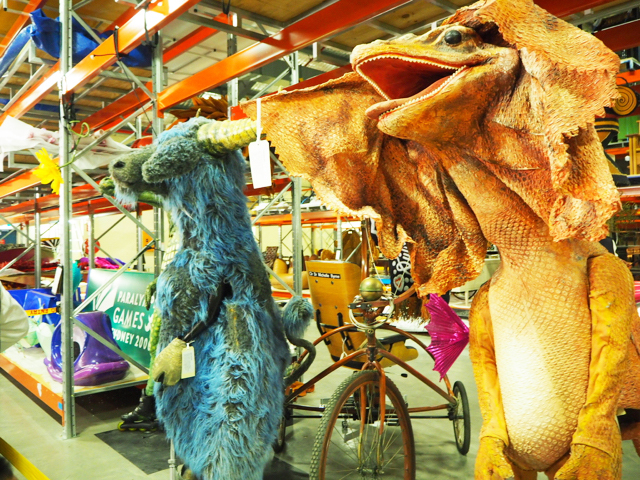 For more information on the Museums Discovery Centre, head to their website. Busy City Kids attended the Museums Discovery Centre for the purpose of a review as part of Free Museum Weekend. All opinions & feedback are genuine & truthful. Travel and food were self funded. 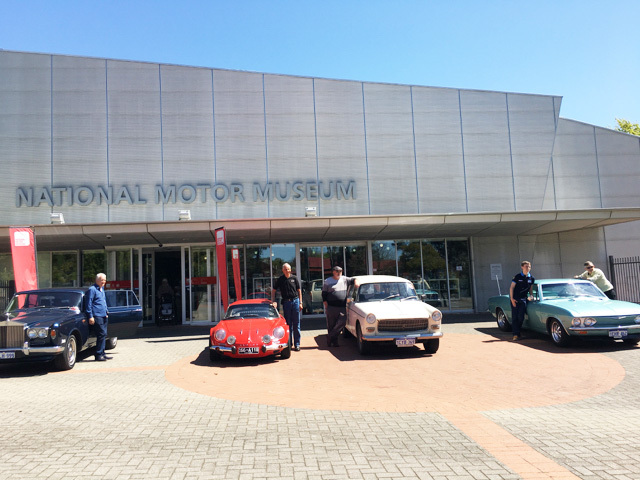 If you're visiting Adelaide or the Adelaide Hills, do make the drive to the National Motor Museum in Birdwood. Motor enthusiasts and families love this museum and for my car obsessed son, this was heaven! Little Miss loved looking at all the cars and motorbikes too, we had a fun afternoon. From the get go at the Museum Shop, the kids got on the little cars for sale and wanted to ride through the museum. Would have been a great idea but we left the cars at the shop for repairs haha! The National Motor Museum has a unique collection of cars, trucks, vans, motorbikes, bicycles, toy and model cars and so much more! 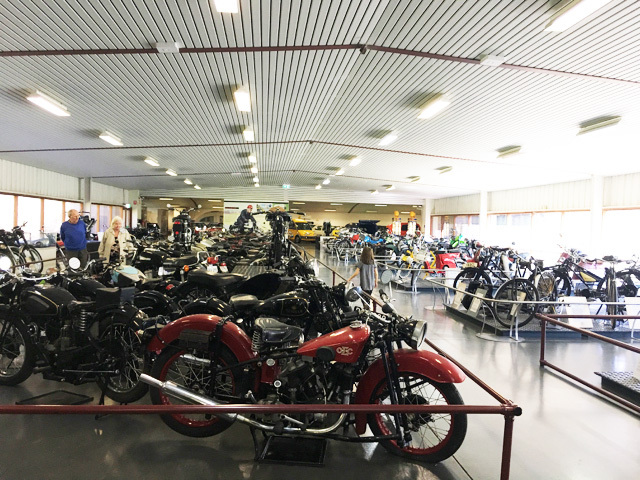 Kids will love walking through the aisles of cars and motorbikes and checkout one of a kind vehicles that are only at the museum. Checkout the latest exhibition Sunburnt Country which celebrates Australia’s unique love affair with all things motoring. The exhibit includes the hand-built 1899 Shearer Steam Carriage, the 1908 Talbot that crossed from Adelaide to Darwin and the faithful 1936 Leyland Badger that enabled the legendary South Australian Mailman of the Outback, Tom Kruse, to deliver mail to rural communities. We liked watching the video in this exhibit showcasing the way cars were built back in those days. Walk through the aisles of motorbikes and scooters on show and make your way to the 1920s mechanical workshop which has petrol pumps, original tools, advertising images, a fire extinguisher, and even a vintage typewriter and small office. Don't miss the Model Behaviour exhibit on your way out which features a number of pedal cars which came to life in the workshop of Adelaide grandfather Bob Phillips, and an impressive collection of Corgi model cars which was the life-long passion of Eric Hauschild. 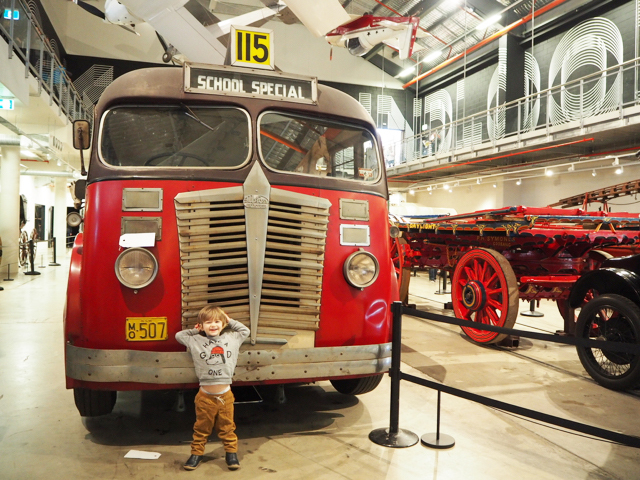 We loved our time at the National Motor Museum in Birdwood and didn't mind the drive up through the beautiful villages. The kids did not stop admiring everything in sight. It was heaven for my car loving son! The National Motor Museum is located at Shannon Street in Birdwood in the Adelaide Hills. The Museum is open every day of the year except Christmas Day from 10 am to 5 pm. 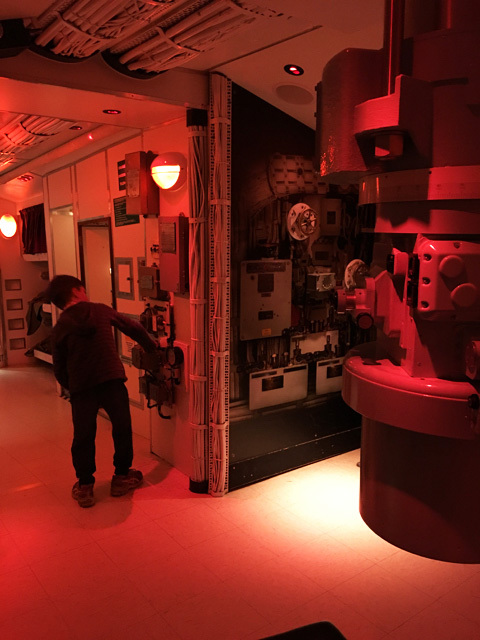 Admission to the Museum is $15.50 per adult, $6.50 for children, Free for kids under 5 and $35 for a family of 2 adults and up to 6 children. Busy City Kids were invited to the National Motor Museum for the purposes of a review. All opinions & feedback are genuine & truthful. Travel, food and fee paying activities were self funded. For more information and up-to-date news about the National Motor Museum, head to their website. The Justice and Police Museum located in the city a short walk from Circular Quay was a busy place in the 1850s with the recent end of convict transportation, the discovery of gold, and improved transport and communications, people of all kinds flooded through the bustling port which meant crime as well as trade was on the rise. The crimes of drunken flights, petty criminals were hauled before the Water Police Court daily, so busy in fact that a new building was needed urgently. The new Water Police Court was completed by 1856, and soon after the new Water Police Station was opened. In 1886 a Police Court was squeezed into the vacant land between the two buildings, making the three-building complex one of the busiest legal precincts in the colony. Today as the Justice & Police Museum, the history of crime, policing and justice are explored in these same buildings, where the gritty business of maintaining law and order once played out. Visitors can brave the steep steps in front of the Justice & Police Museum or use the side ramp to enter with prams and wheelchairs. 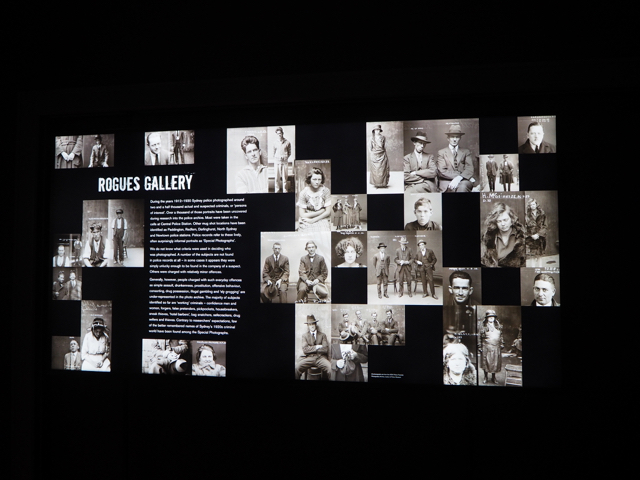 Once in, visitors can read up on the notorious criminals and bushrangers who have left their stories at this museum. Visitors can appreciate the old building which has been well kept and preserved when moving from one part of the Museum to the other. Kids or adults can dress up as witnesses, criminals and the like in the Police Court using provided outfits and play pretend. Visitors can view an interesting range of weapons confiscated by NSW Police in the Crime Museum. My little ones loved playing in the Charge Room, there's a hole puncher, some paper, finger printing quest sheet and a small open cell they can sit in. The 1890 holding cells are pretty interesting, the first one is as they were back in those days whereas the other cells have been fitted with artefacts, stories and draw visitors into a world of crime, punishment and policing, from bushrangers, sly grog and razor gangs to forensics. There's lots to read up on, Mister 2 wasn't so interested except when he saw dogs, bikes and cars on photos and displays. Little Miss was following a little trail throughout the Museum. 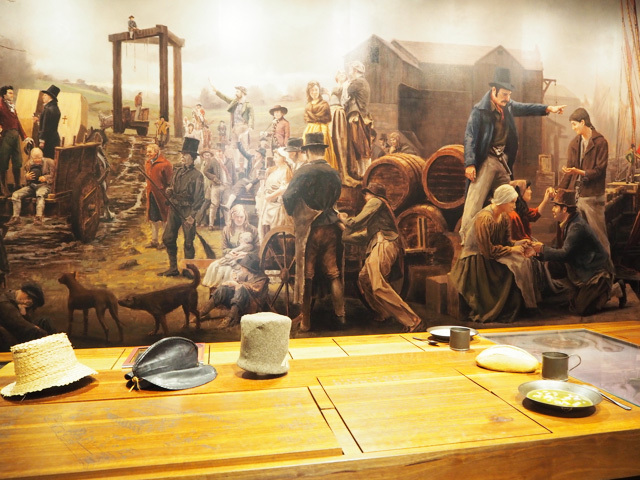 The highlight of the visit was the Mock Trial in the Police Court which happens Saturday and Sunday from 11:30 am for 30 minutes and asks visitors to either step into the shoes of a notorious bushranger and plead your innocence. Or perhaps visitors can wear the barrister’s or the judge's wig to test their powers of persuasion. Visitors can see first-hand how a 19th century magistrates court put Sydney’s infamous criminals behind bars. The Police Court retains the original magistrate’s bench, reporter/jury box, witness stand and prisoner’s dock (not pictured). 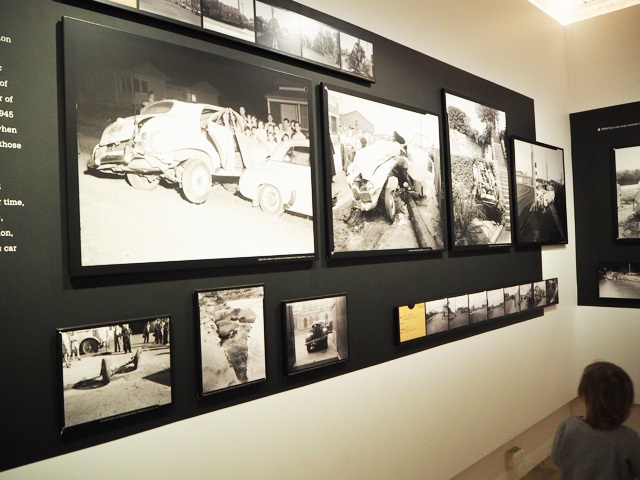 On your way out, don't forget to checkout the City of Shadows installation (some photos aren't kid friendly) but this room provides a vast archive of crime scene photography and mug shots from more than a century of underworld Sydney. 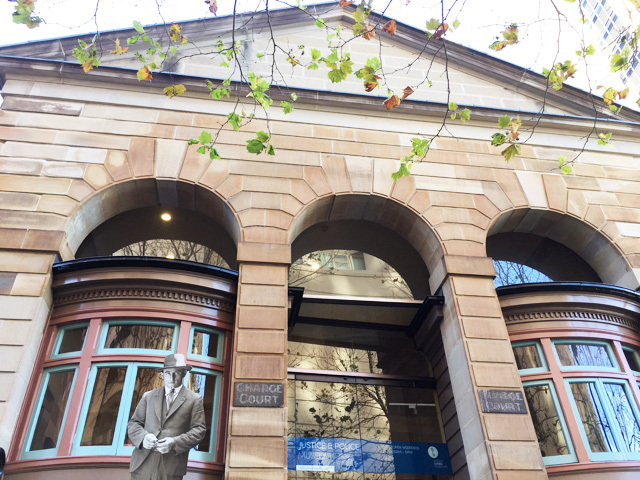 The Justice & Police Museum is a great place for primary school children, teenagers and adults to read up on, understand and appreciate the rich history of the buildings and underworld Sydney. The Museum is only open weekends and the Mock Trial is only on once a day on Saturday and Sunday so make sure you attend during those times. Kids can play dress ups and follow a little trail to find their missing friend provided at reception. I did query reception regarding the Cop or Robber activity available weekends at 10:30 am for 30 minutes but was told there was no such activity and that a tour takes place during that time instead. The Justice & Police Museum is located at Corner Albert and Phillip Streets, Circular Quay, Sydney CBD. The Justice & Police Museum is open 10am to 5pm on Saturday and Sunday only. Admission is $12 per adult, $8 per concession, $30 per family, Members and Kids under 5 go free. Free self guided tour and guided tour at 10:30 am. Free dress ups in the courtroom. Free family-friendly Bushrangers Behind Bars mock trial at 11:30 am. Entry to the Museum for prams and wheelchairs is available on the side of Albert Street using the ramp. Ring and hold the bell to make sure someone opens up for you. The Museum is pram and wheelchair friendly throughout most of the building however you can leave the pram at the entry and the staff is cloak it for you. For more information on the Justice & Police Museum, head to their website. Busy City Kids were invited to the Justice and Police Museum for the purpose of a review. All opinions & feedback are genuine & truthful. Travel and food were self funded. The Hyde Park Barracks Museum is currently CLOSED for a major renewal project that will transform the UNESCO World Heritage-listed site into a world-leading heritage destination. The Museum will re-open in late 2019. Further information can be found here. Hyde Park Barracks is one of the most significant convict sites in the world. Built in 1817-1819, this UNESCO World Heritage listed site was a crossroads for tens of thousands of people, it played a central role in the world’s largest and longest-running system of convict transportation. On a recent trip into the city, I wanted to explore this gorgeous building in the centre of the city and the history behind it. It is a great place for primary school children, teenagers and adults to visit. Little ones under 6 will appreciate a few spots of dressing up too. 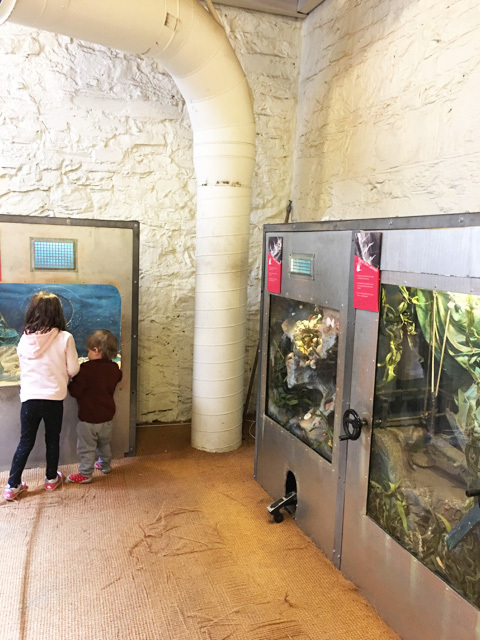 Don't forget to pickup a Kids' Rats' Trail at front desk which takes the kids through the museum to collect historical clues and receive a stamp upon completion. It is so fascinating to walk within the building, read up on such times and still see parts of the building as they stood back in the 1800s. 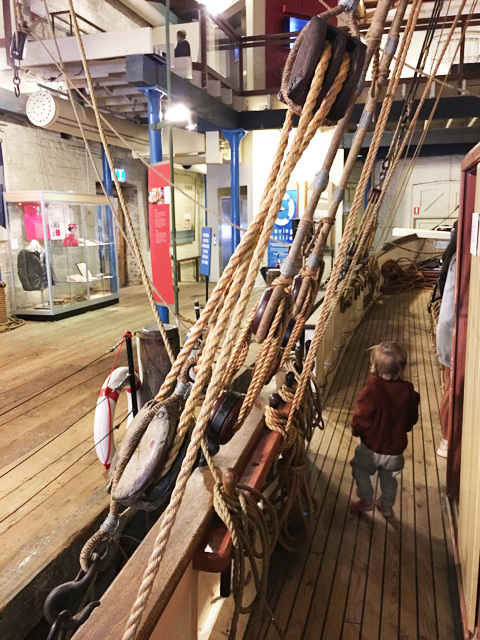 Kids can follow Ratty's Rat Trail and read up on vivid stories about what it was like to be a convict, or to be an orphan shipped across the world to make a new life. Level 1 of the Barracks houses the Convict Period: 1819 - 1848. More than 50,000 convicts passed through the gates of the Hyde Park Barracks between 1819 to 1848. The convicts were a motley crew of thieves, protestors, robbers, pirates, slaves, bushrangers and repeated offenders. However through hard work and obedience some gained their freedom. After 1848, the barracks became an Immigration depot and Asylum until 1886. It was then a Courts & Offices quarter from 1887-1979. 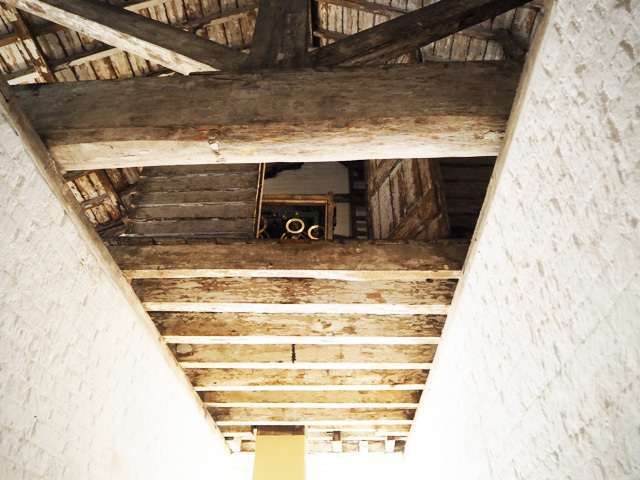 In 1979 conservation works began where 120,000 artefacts were recovered from the site including beneath floorboards. And later in 1984 the Barracks then opened as a Museum. You will find little Ratty signs and boxes throughout the building keeping it interesting for little ones showing artefacts, asking questions and more. 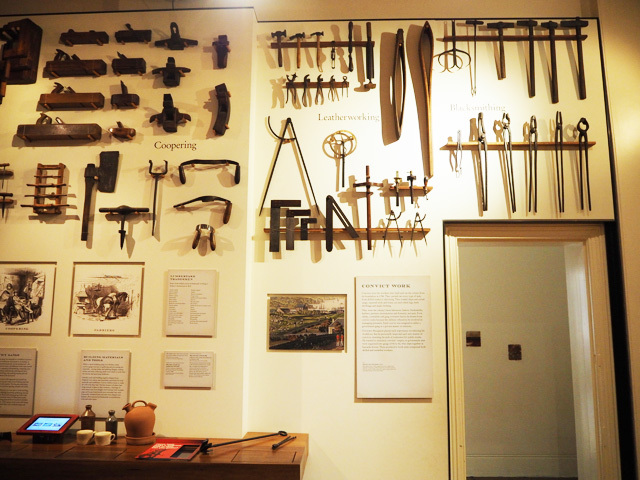 On level 1, you will find the Convict Sydney: People room where kids can see what convicts ate, dress up as a convict, try on leg irons and admire all the different tools on display that convicts used back in the day. The convict Sydney: Place still on level 1 shows where the Barracks were in these early colonial days and places convicts went to work and who they were. The maps, images and panorama in this room are quite interesting to look at too. Level 2 houses the Immigration Depot & Asylum Period: 1848-1886. The Barracks back then provided safe haven for around 40,000 immigrant women some with children. The women slept in iron beds in dorms on level 2 and 3. It then became an asylum. Kids can sit on beds and dress up as the women did back in the days in this room and adults can admire the remaining of the pressed ceiling (ok maybe that's just me ha!). 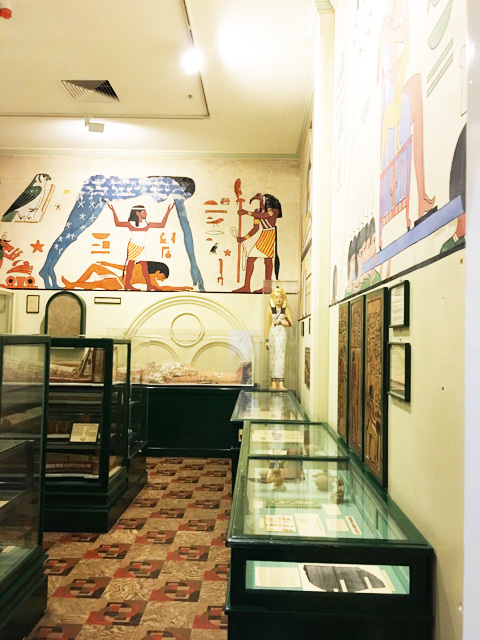 On the same level, kids can admire the archeology exhibits on display, very interesting for little historians in your family. 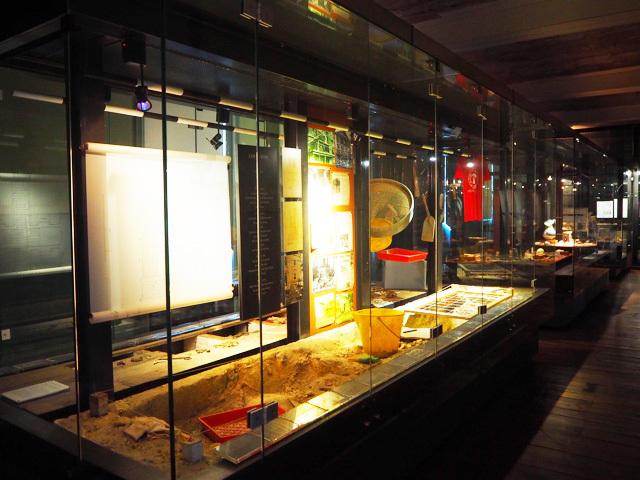 Visitors can also discover artefacts found beneath the ground at floor spaces and see some fascinating items. Still on the same level, visitors can look at different models of how the Barracks and site have changed over time and understand the rich timeline. My favourite area in the building would have to be level 3 where the Courts and Offices were located. The building's ceilings and beams are just stunning. This level includes a silhouettes gallery where visitors can hear sounds and voices of convict life. You can also listen to the hourly chime of Australia's oldest continuously functioning public clock on this level - such a beautiful piece of machinery and also checkout the hammocks room. Don't forget to peep through the holes of the rooms to see through the Hammocks Room. Kids can sit in the hammocks of this reconstructed convict dormitory and ponder how life would have been as a convict sleeping on these hammocks. Very comfy however I'm not sure how I would sleep on these for long periods without falling ha! 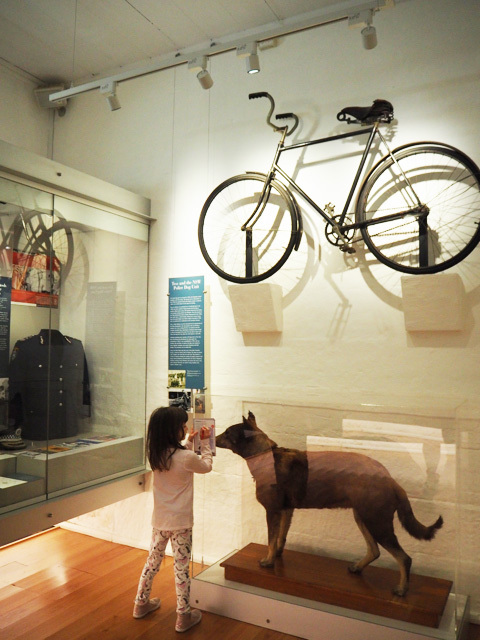 Kids and parents will enjoy visiting the Hyde Park Barracks and learning about this site's rich history. Kids will enjoy following the Rats' Trail and follow Ratty's clews around the building, dressing up, exploring and laying in a hammock. 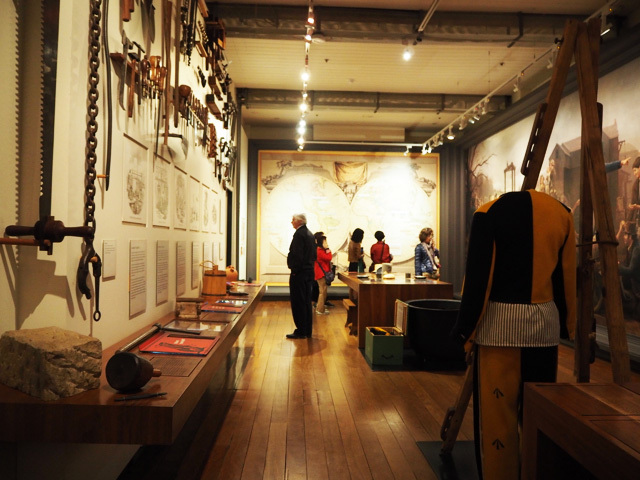 The Hyde Park Barracks Museum is located at Queens Square, Macquarie Street, Sydney CBD. Free guided tours and audio tours are available. The Museum is only pram and wheelchair friendly on the ground floor of the building as upper levels are only accessible via stairs. Limited pram parking too. For more information on the Hyde Park Barracks, head to their website. 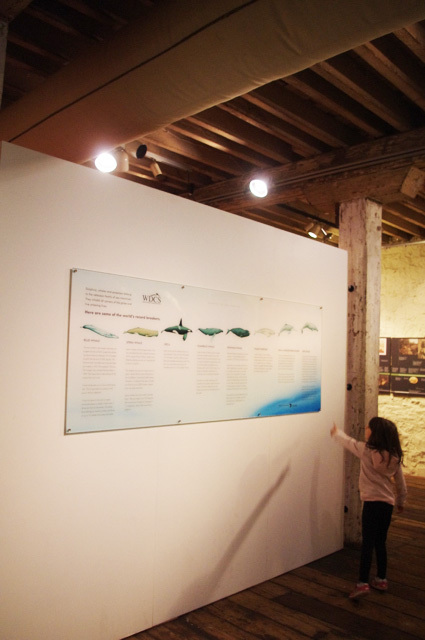 Busy City Kids were invited to the Hyde Park Barracks Museum for the purpose of a review. All opinions & feedback are genuine & truthful. Travel and food were self funded. A visit to the Australian War Memorial is sacred to most Australians including my husband who served in the navy for almost a decade and went to many wars and was lucky to come out of them alive. Having moved from France twenty years ago, my war history is restricted to European history however I have learned throughout the years that Australia played a big part in fighting around the World, in Europe and especially in France. War was a big thing in my family in France and I lost many family members in World War I and Wold War II and even had German soldiers occupy my father's village during World War II so it was a privilege to visit the Villers–Bretonneux Australian National Memorial in France last April and the Australian War Memorial in June last year. This is why walking through the Australian War Memorial brings out a high level of respect for those who fought wars to give us the freedom that we have today. 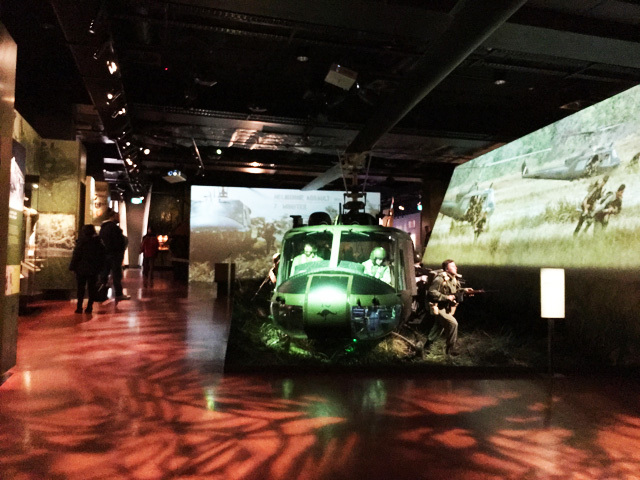 The Memorial includes many permanent galleries covering Australia's involvement in major conflicts and some temporary exhibitions that cover other aspects of military history. Highlights of the Australian War Memorial's include the stunning Commemorative Courtyard, the Roll of Honour which contains the names of over 102,000 members of the Australian armed forces who have died during or as a result of war service, the Hall of Memory, the Dioramas, the Hall of Valour, the Aircraft Hall, the Anzac Hall and the Discovery Zone. 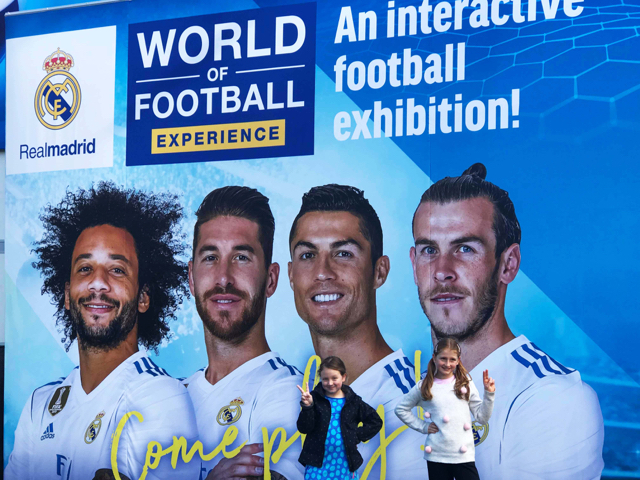 Although the kids could not read most of the exhibits, their father and I conveyed important messages to them about the war history of Australia, Europe and other countries. The war artefacts, aircrafts, boats and vehicles kept the kids interested while we were visiting the different exhibiting galleries. The kids thought the Discovery Zone was a lot of fun! 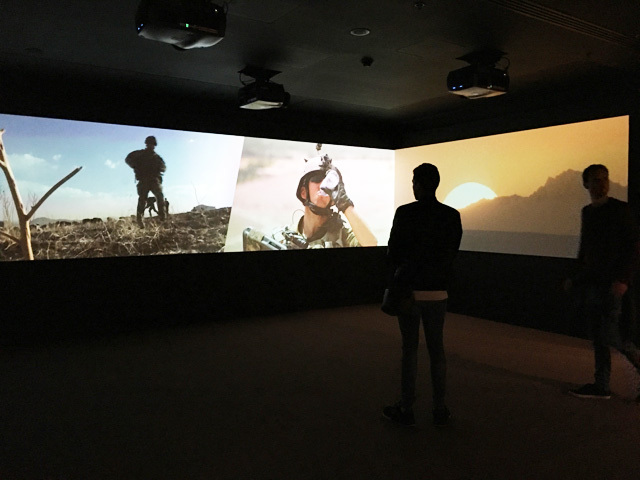 It has five different zones which are all inspired by Australia's military history. It includes a trench on the Western Front in France from the First World War, an Australian home front during the Second World War, an Iroquois helicopter hovering in a field in Vietnam, an Oberon Class submarine, searching for enemy targets and a peacekeeping mission in a war-ravaged community. Kids will love climbing, jumping, crawling and exploring all zones. The Discovery Zone is open during limited times during the week but opened all day on weekends and holidays (see times in our tips below). My little ones' favourite zone was by far the Iroquois helicopter where they enjoyed flying and sitting in the passenger seat. They also liked getting dressed up with the dress up clothes provided nearby. Little Miss liked the trench, wearing a war helmet and exploring the submarine. 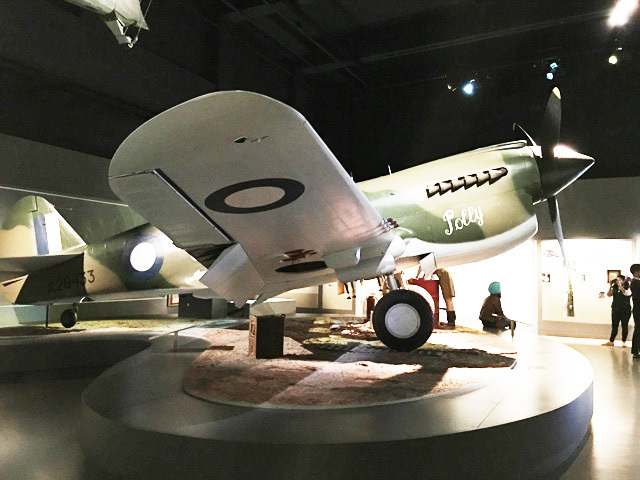 The Australian War Memorial is a great place for the whole family to learn about Australia's and the World's war history. While it may not be an automatic place to bring children, I believe that war is part of Australia's and the World's history therefore is important for our children to understand. Throughout our visit, we found that the material presented throughout the galleries was not scary for children but presented in a way which was educational. The Memorial welcomes school groups from around Australia daily. 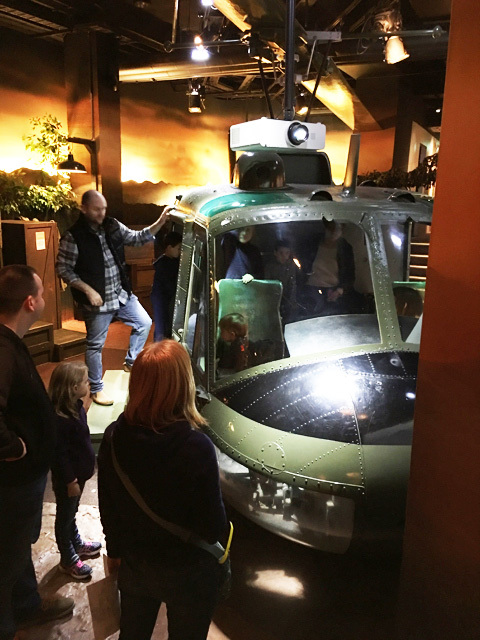 Kids will enjoy seeing the artefacts, planes, helicopters, miniature boats and will love playing in the Discovery Zone, flying an Iroquois helicopter, going through a trench and a exploring a submarine. Do pop in when you're in Canberra next. The Memorial is open 10am to 5pm daily except on Christmas Day. Open and closing times vary on Anzac day and Remembrance day. Galleries close from 4.40pm and visitors are invited to join the Memorial for the Last Post Ceremony. 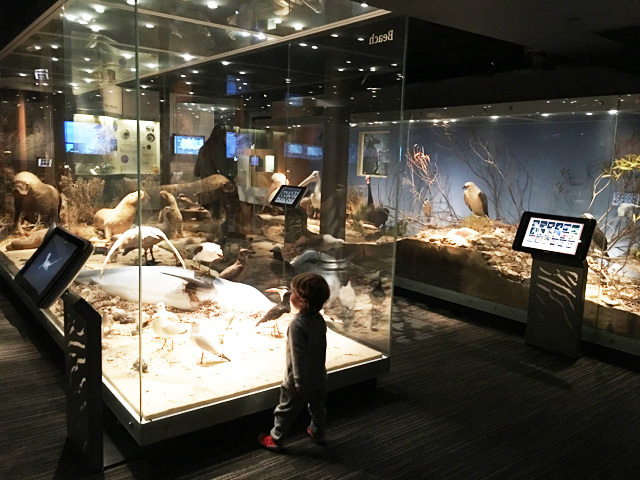 The Discovery Zone is open from 12:30pm to 1:30pm during weekdays and all day during weekends, public holidays and ACT school holidays. Admission to the Memorial is free but donations to the Memorial is encouraged to support the Memorial's efforts and volunteers. The Memorial is pram and wheelchair friendly with lifts available. Both are available for hire on free loan at the front desk. As well as free cloaking. Free parking is available under the Memorial (4 hour limit). For more information on the Australian War Memorial, head to their website.